I like Kanani , but I also like Marie-Grace so in this case you pick the one you like not us. I mean not to sound rude but you should get the doll you want I mean you going to have to take of that doll that your going to get, so get the one like the most out of all of them. Sorry if this sounds mean just trying to help you. Okay, FIRST: I am Mosands10's Daughter! Who watches your videos constantly. Just to make that clear. This was the only way to post a comment. C&MG: Check out 4evragz. she's got a video of her opening C&MG, and a slideshow. That might help. I love Cecile, but for long hair on this single suggestion, Marie-Grace is YOUR best bet. 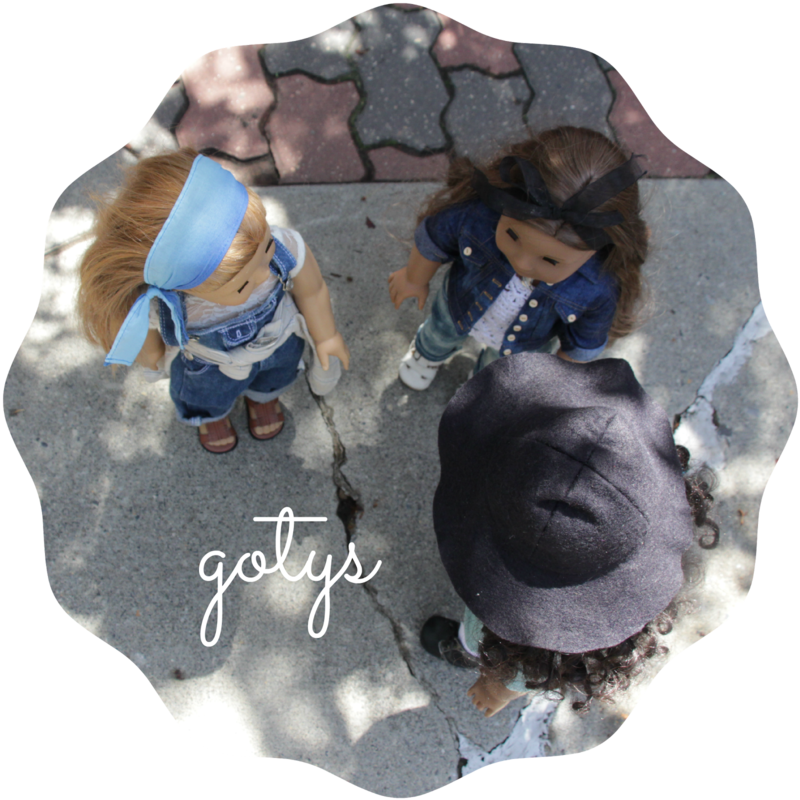 JLY: Ali, JLY DOLLS ARE DOMINATING YOUR AG POPULATION! And like you said, you ARE GIRLOFTHEYEARstudios, and you only have 2 of them! Don't go with the Sonali look-alike, unless you really must. Addy: I wouldn't really go with her. I don't have her, but she has textured hair, and that might be a problem. Consult an Addy mini Doll about this. 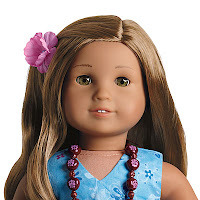 Kanani: My sister has Kanani, and she ABSOLUTELY ADORES HER! She's as pretty as her picture! And I think, comparing Kanani and Marie-Grace, Go with Kanani. But first, before you decide, consult Lynlee. Ask her if she would like Kanani as a sister. If no, let her vent her feelings. She will appreciate it. Like Michelle said, it's your choice. We're just suggesting. I say get Kanani or the Just Like You in your case. The Just Like You is VERY similar to Sonali, so she could easily be your Norah! 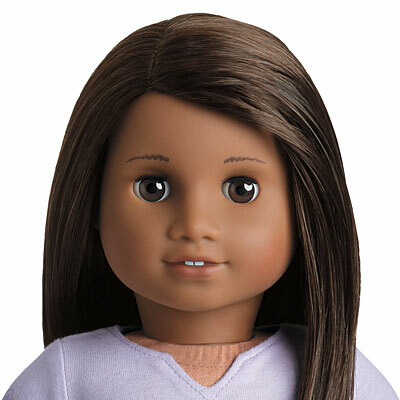 As for Kanani, she has medium skin and long, wavy, hair! She works out well, right? And the eye swap doesn't seem to be difficult, seeing how many people DO enjoy the hazel eyes. Hope this helped! Kanani. 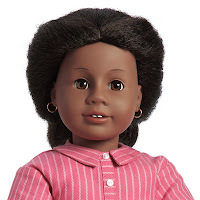 Mostly because of the, "if you change your mind about her later, you'll have to have hundreds of $$$" and also because you pretty much described her in your first description of the doll you want. Aside from the hazel eyes, she's perfect! 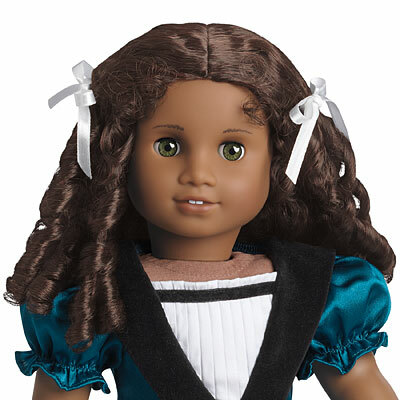 I have a few long haired dolls, and I WILL mention that you'll have your hands full with their hair length. If you set them down, their hair will get ENTIRELY messed up, and you'll have to brush it. It's kind of annoying, but if that isn't a problem to you, then go for it! I'm sure ANYBODY would want to trade some brown eyes for hazel eyes. I WOULD offer that, but 1) I don't know how to take their eyes out. And 2) I only have two brown eyed dolls(Gwen and Sonali) and I don't want either of them to have hazel eyes. I think you should get Kanani. She is so pretty! You should get Kanani!! Ask Anna (basilmentos) what she thinks of her! Then if you still aren't sure get Marie-Grace! Personally, I think kanani is ugly. JLY47, DUH!!!! She is way prettier than kanani. I Think You Should Get Cecile, Marie-Grace, Or Kanani. And Get Rid Of None! Kanani is no doubt drop-dead gorgeous but her hair is a PAIN to take care of. It's like Lynlee's hair, but worse. I would say no to Cecile because of Quinn. Addy's a good idea because of the whole historical dealy. That MAG Sonali look-alike could easily turn into an exact look-alike. Just watch stephenswodadancer's video on how to curl a doll's hair permanently. I hope all these opinions from everybody help you choose, because really, the choice is entirely up to you. :) Anyways, have fun!! U should pick Kanani, or Cicele! Or Mary-Grace, cuz' her eye colour is so awesome! Definitely get Kanani! I've had her for over 8 months and she's perfect! Her hazel eyes are beautiful! Don't exchange them! Hmm, I think it's awesome that you already have an idea of which doll you want, but I think you should wait until you get to the AGP to decide on which doll to get, so you can see them up close and personal :) plus, I don't decide based on what type of doll she is, I just decide if I like her :) plus, if you look past the... not too attractive JLY shirt, the capris and the flats go with nearly anything :) I hope this helped! kanani or marie grace! they both have AMAZING HAIR!!!!! PS ali your my IDOL!!!!!!!!! Well, I have Rebecca, who has hair a lot like Kanani's and i can tell you one thing. YOU CAN"T STYLE IT. Well you can, but you'll ruin the curls. :( The JLY fits your descriptions best, and Marie Grace is pretty but wouldn't make a very good replacement Norah. And Cecile looks too much like Quinn, I agree. 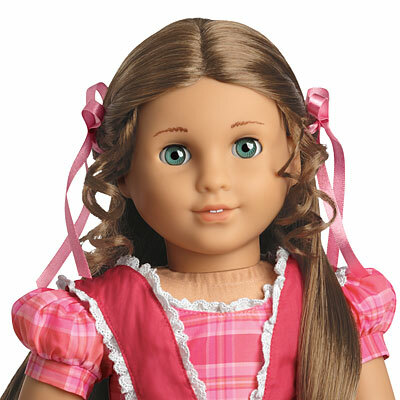 But Addy doesn't seem very much like a YOU doll. So I say you should go with the JLY. Man I wish I had enough money to buy more than one doll. Le sigh. The survey is for a business project I am working on with a team of students at JBU. We would really appreciate you taking the time to complete the survey! Upon completion, feel free to share this awesome experience with others! Thanks!